Who Is Jesus Christ and Why Is He the Only Way to Salvation? Jesus Christ is the only-begotten Son of God, the Savior and Redeemer of mankind. He is God’s “Master Plan” to restore the original Paradise that Adam lost by way of his disobedience. Jesus of Nazareth is “the last Adam” (1 Cor. 15:45). Typologically, he is the Passover Lamb of Exodus, the High Priest of Leviticus, and one aspect of his life and ministry is similarly represented in each book of the Bible. He is the golden thread that weaves together the Royal Tapestry of Truth that is the Word of God. The man we know as Jesus Christ is first mentioned in Genesis 3:15 (KJV), where he is called the “seed” of the woman. Thus he is the only man born of a virgin by way of God putting His seed in her by divine conception. God did this in order to make Jesus the genetic equivalent of the First Adam and give him the potential to live a sinless life if he chose to do so. Jesus is the only man who ever did exactly that, and thus he became the perfect sacrifice for the sin of mankind. Jesus is the Living Word, the Living Truth. 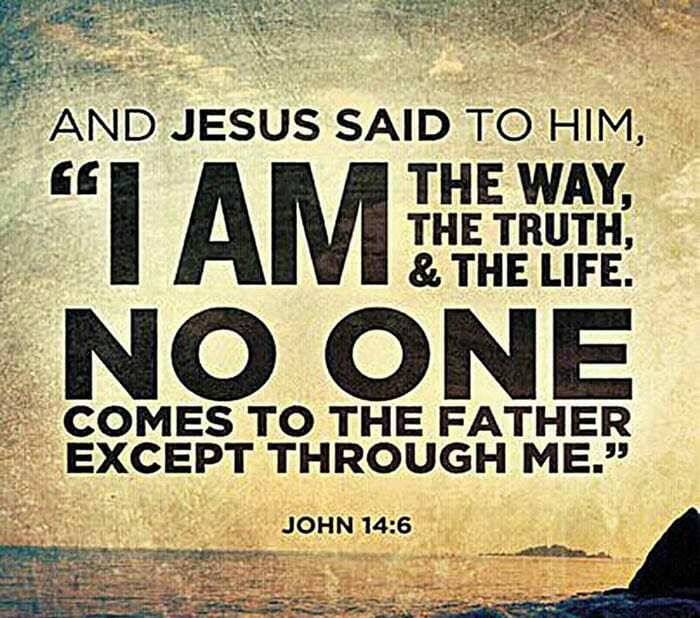 And Jesus Christ is also the Living Way, the only way to salvation, because he is the only man to ever conquer death, which he did by trusting his Father to raise him from the dead as He had promised His Son in His Word (Gen. 3:15; Ps. 2:7, 16:10, 110:1ff.). As the risen Lord and Head of the Body of Christ (composed of all Christians), Jesus now saves all those who call upon his name according to Romans 10:9, and one day he will come back to raise up and forever save all who ever believed in him. He will destroy all wicked people, and create a new and everlasting heaven and earth.